A powerful volcanic eruption was observed again on Friday at Mt. Shimmoe on the southwestern Japanese main island of Kyushu, following a similar eruption two days ago, the Japan Meteorological Agency said. 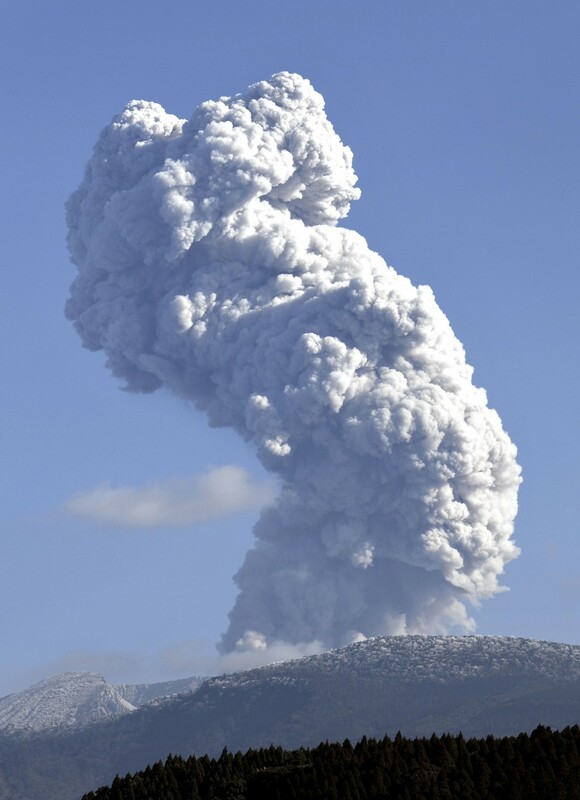 The eruption occurred at around 4 p.m. on the 1,421-meter volcano that straddles Miyazaki and Kagoshima prefectures, according to the agency. A small eruption occurred on Thursday last week, followed by explosive eruptions on Tuesday, the first in about seven years, after active volcanic tremors were detected earlier in the day. Explosive eruptions continued on Wednesday. Prior to the latest events, the most recent explosive eruptions observed at Mt. Shimmoe were between January and March 2011, and before that in February 1959.